Many of the island’s (Barbados') outstanding sons and daughters have emerged from the rural villages which were created in direct opposition to the plantation tenantries. Lester Vaughan was a product of St Simon’s Village, nestled in a gentle terrace overlooking Belleplaine, St Andrew. He emerged in Barbadian national and community life as an educator, role model and community builder. Born of poor parentage in 1910, young Lester received his education at St Simon’s Boys’ between 1915 and 1926 under P.A. Worrell. ​Unlike many others, he did not immediately gain entry to the teaching profession. However, in 1928 he was recommended to serve as pupil teacher at Chalky Mount Mixed under the watchful eye of Mr C Riley and succeeded in the examinations that were necessary for admission to the renowned Rawle Training Institute, forerunner of Erdiston College. He completed this training in 1935 and was assigned to Bawden’s Boys’, then Andrew’s Boys’ between 1937 and 1941. Between 1941 and 1944 he taught at St Silas Boys’ under the successive leadership of Mr J M Crick and Mr Oliver Walcott. 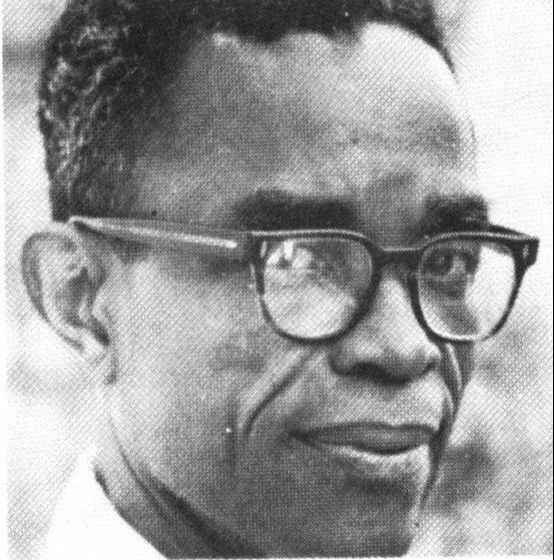 Vaughan accepted the post of principal at the Castries Anglican Primary School in St Lucia in 1944 and served with distinction for ten years. In 1952 he entered the Tuskeegee Institute of Alabama in the United States where he pursued a course in primary education. He returned to St Lucia that same year and served there until 1954 when he returned home to Barbados. It was not long before the talented and student-centred Lester Vaughan became a headteacher in a Barbadian school. He taught at St John the Baptist Boys’ School, and in 1956 was appointed as head at Holy Innocents Primary. He was promoted to the rank of education officer in 1960 and later retired in November 1970. He was recalled from retirement in 1973 to the 14+ scheme which was designed to assist those children who had left school at age 14. What distinguishes Vaughan’s stewardship from many others was his commitment to a broad-based primary education. At every school he taught, he gave impetus to the teaching of agricultural science, music and woodwork. Indeed, at Holy Innocents he was successful in introducing vocational subjects which served students well, especially those who did not attend the grammar schools. Yet he maintained a strong focus on the normal academic course of study and, according to Carlos Harding, developed a philosophy to give support to it. His view was that emphasis should be placed on attendance and conduct in order to reach a satisfactory level of attainment. He succeeded in transforming Holy Innocents into an institution known for its attendance and attainment. More importantly, Vaughan held classes for those students who had not attained a high level of literacy, without any charge. He did not punish for ignorance of the subject matter, but displayed great love for the students under his charge. In this way he succeeded in motivating many slow learners. What is even more remarkable is that he held fund-raising activities to assist students in paying fees at secondary schools. In the 1960s, Vaughan composed Barbados’ National Pledge. In a competition which attracted 167 entrants, his composition was chosen and the winner was announced on April 2, 1973 by Erskine Sandiford, then Minister of Education, Youth Affairs, Community Development and Sport. He was awarded a prize of $100. The judges of the competition were Enid Lynch, Doreen Mayers, Charlie Best, John Wickham, A.N. Forde and H.A. Vaughan, chairman of the committee.